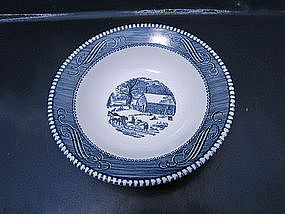 Blue Currier and Ives cereal bowl. Pay close attention to the center design, as there are 2 styles of the cereal bowl. There is no damage. I need your zip code to calculate the postage.